Business coaching to get you to the top of your industry! Many talented leaders just like you are struggling to scale up, build champion teams, and win their life back. The challenges you face as a business owner are unique: long hours, stress, and the feeling that no one else really understands what it’s like to be responsible for everything. You deserve a trusted guide to get you from point A to point B. Our business coaching programs will help you navigate the challenges of growth, scale your business, and get your life back. We offer business owners a simple 3 step plan to break through their glass ceiling - with no money down! We give you this plan and put all our cards on the table so you can determine if our plan is right for you. There's no risk, no obligation and so much to gain. It all begins with a 15 minute conversation. Let's have a chat so that we can get to know about you and your business. This will allow us to better understand the issues you're facing, where you want to take your business and what you want to achieve in your life. We'll help you identify the money you're leaving on the table and get crystal clear on your business upside. We'll also help you devise a plan to breakthrough your glass ceiling for business and life success. Take our plan for your business and life success. Put it into action immediately! You can either do it on your own, or partner with us as we guide you and your business to a whole new level, as we have done with many others just like you. "We've had other trade-based mentors, but since we have jumped on board with Board of Directors 12, our growth has skyrocketed to levels that it has never been before!" 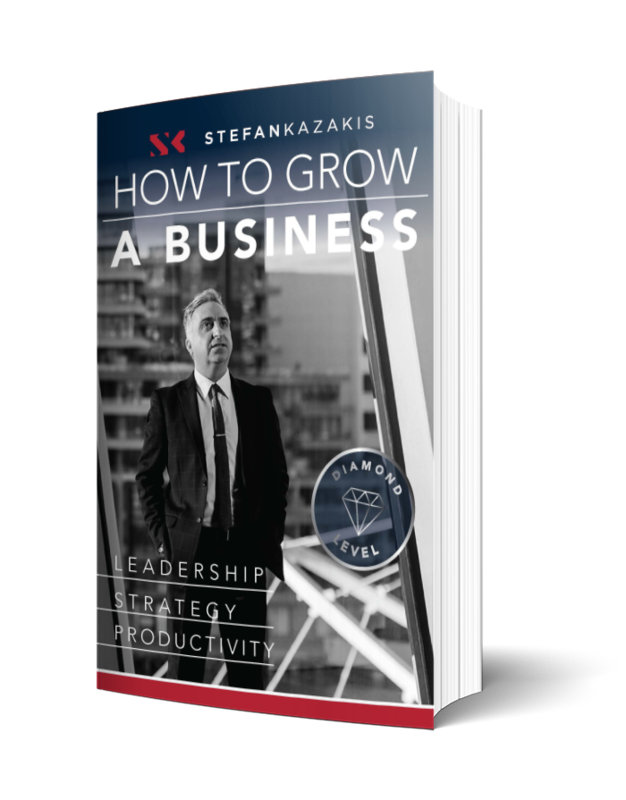 A ground-breaking book written by our CEO Stefan Kazakis. He shows you how to grow your business with real-world advice, solutions and 'the brutal truth' every business owner needs to achieve unparalleled success. The Business Benchmark Group Podcast, hosted by Stefan Kazakis, gives business owners insight and advice delivered by some of the best business coaches in Australia. Getting referrals is the most cost efficient and most effective ways to get new clients. 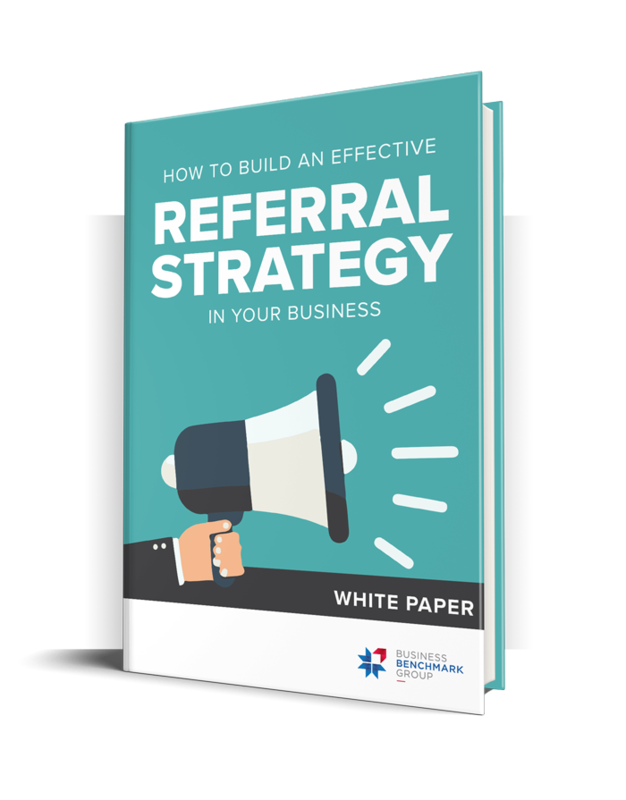 Download our free ebook to find out how to build an effective referral strategy in your business. In just 3 minutes you will see how key areas of your business compare with other businesses in Melbourne. Based on more than 20 years of data from our business coaching. What can you do with 15 minutes? Get a coffee? Change the printer ink? How about change your business’ future? With our free business consultation, 15 minutes is all it takes. Call Business Benchmark Group today and you’ll take the first steps towards long-term business success. We’ll have a friendly discussion with you about your business – where it is today, where you want it to go and how you can get it there. Because we’ve been in your position – we’ve taken near-bankrupt businesses and turned them into success stories. Just imagine what we could do for you. All in the time it takes to drink a latte. Invaluable advice. It costs nothing. Fifteen minutes of advice from Business Benchmark Group costs nothing and, by the end of the call, you’ll have a clear direction on the most important next steps for your business. You’ll also get an understanding of how we work and whether we’re a good fit with you and your business. There’s nothing to lose and everything to gain. So forget the coffee – call us and get a clearer vision for your business in fifteen minutes. "Business is not easy. But it doesn't need to be hard." Our advice costs nothing. Get a free business coaching consultation. Inspiration and motivation delivered to you every week. Join our community and get inspiration and powerful business advice delivered to your inbox every Saturday morning.